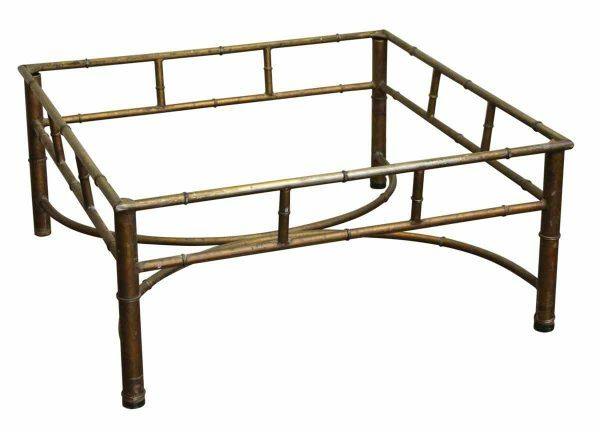 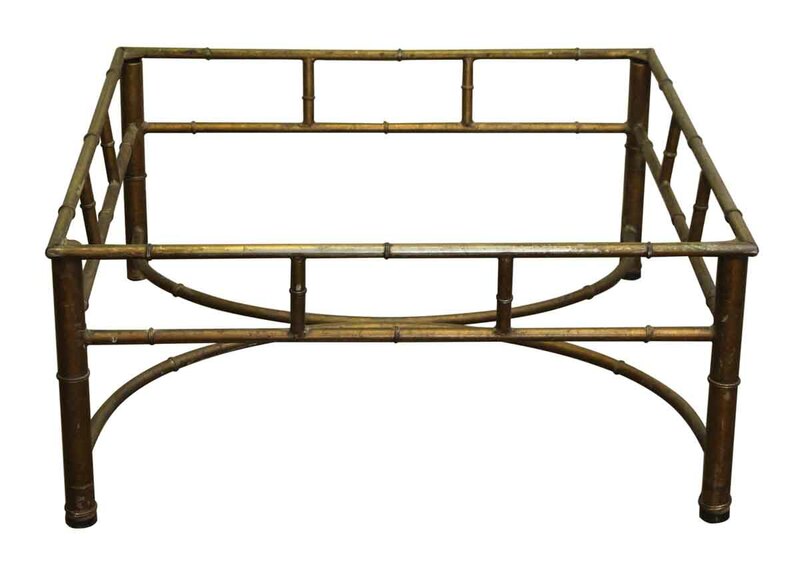 Metal coffee table base with a bamboo type look. 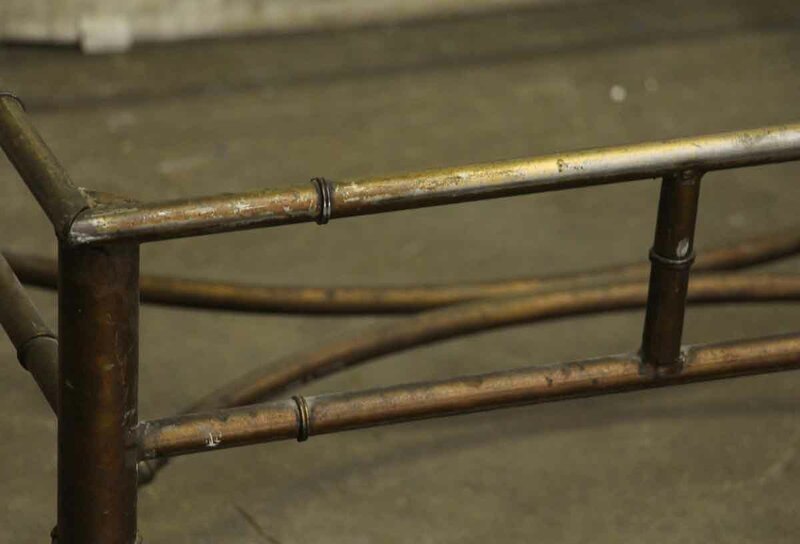 The colors are warm brass, bronze, or copper tones, with some of the finish wearing off on the top edge. 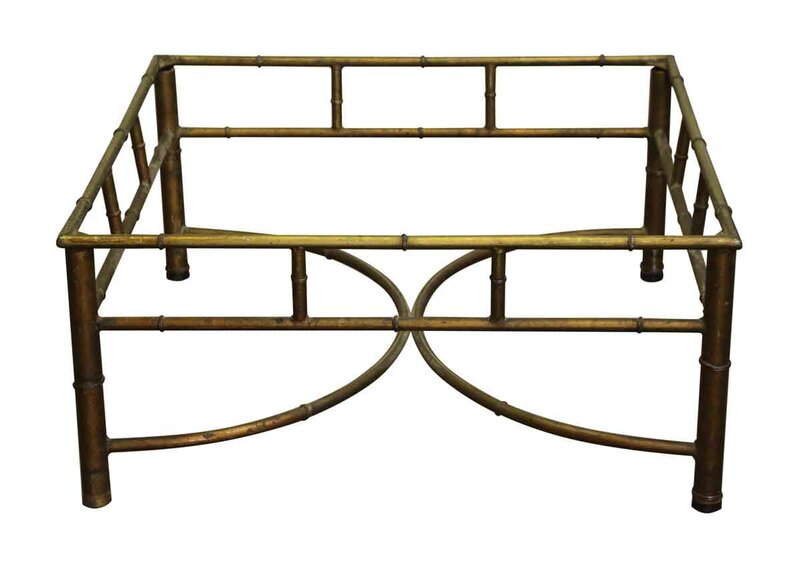 There currently is no glass top, but it would rest on the top table corners, showing below a nice opposite half circle design. 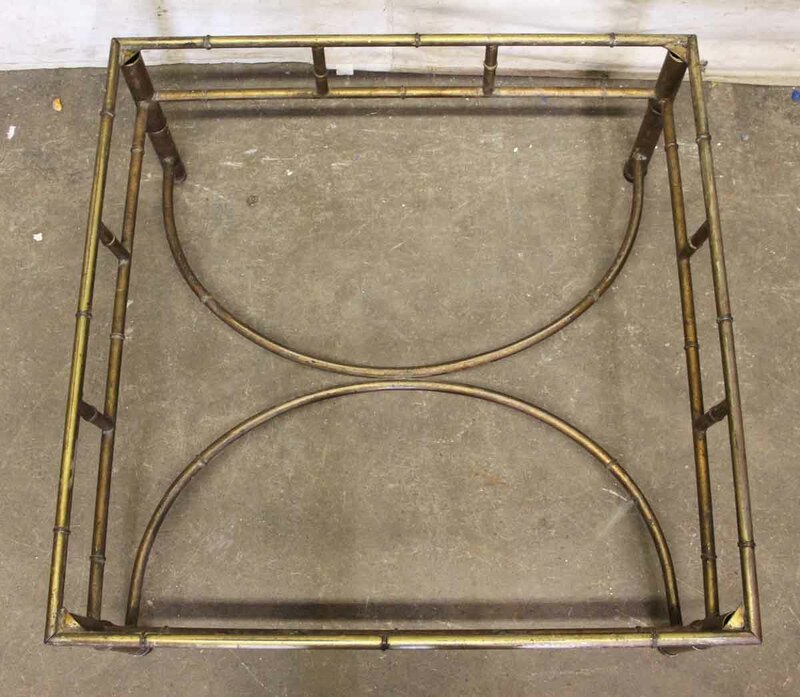 It’s almost square in shape.